A whole crew of Team Dalby made their way to Mooloolaba for the annual Triathlon. We had 16 members racing, many for the first time. The individuals were Danny, Nolesy, Luke Tony L-J and Don. The Budgie Smugglers Jason Marini, Gary Gormley & Mark Green, Team BBJ Brigid Tait, Brady & Lono, Dalby Darlings Andrea and Bron and Haydn, Rachele and Tab L-J. Danny, in is first full triathlon had an awesome race being the first boy home in a time of 2:37:27. 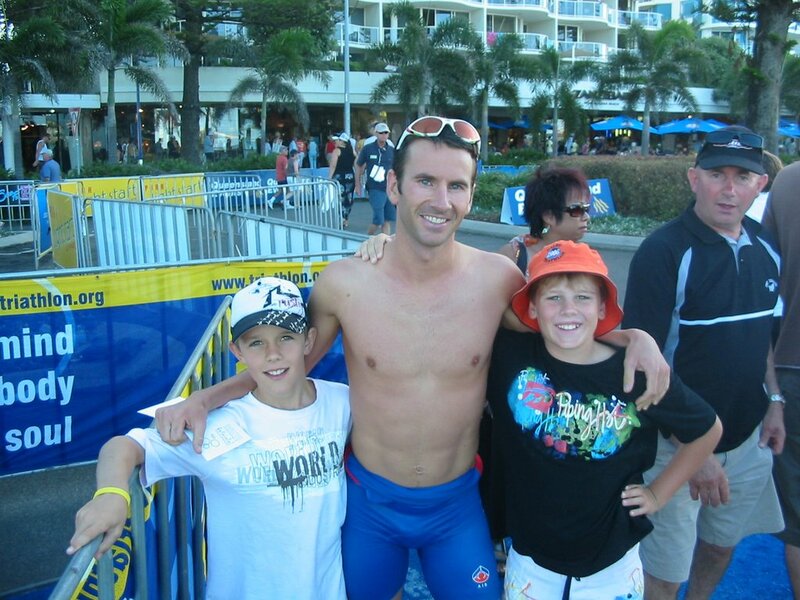 Nolesy in his first Olympic distance race aslo cruised in with and excellent time of 2:40:29. TLJ came in well despite his recent bad health in a time of 2:43:53. 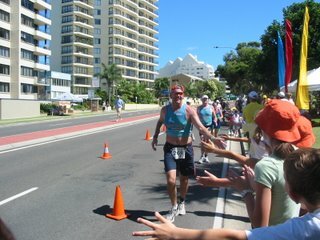 Luke had a kick arse bike leg to finish in a time of 2:46:55. Don finished really well in his age group placing 26th, he gave us a scare post race but is all good. He finished in a time of 2:59:44. Our teams were awesome - The Dalby Darlings' Andrea and Bron finished 4th in the womens division - an unreal effort for a 2 member team - well done girls!!!! Team BBJ had a great start with Brigid setting a blistering pace in the swim, following by Brady and Lono flew home in the run with a sub 40 minute run.These guys finished 6th in the hotly contested mixed teams division. Our other mixed team Haydn, Rach & Tab finished 90th out of 184 mixed teams. This was Rach and Tab's first 'BIG' tri and both recorded PB's. The world renound men's triathlon team The Budgie Smugglers were on fire, Jason's swim leg was fast and furious as was Gary on the bike. Greenie also had a "SOLID" run placing them 12th in the men's division. Ex Dalby Girl Chris Galinovic showed the boys how to do it with a great time of 2:28 placing her 5th in the 35-39 female age group. A very special mention must go to the support crew, with out them we would not get over the line.